As summer swings around to the rear-view mirror, the month of September offers many opportunities to take part in the bounty of the Catskills. Beginning with Labor Day weekend festivities, this month’s calendar is chock-full of food and drink events. September also marks the beginning of the end for many seasonal local food happenings. So if you haven’t been yet — or want one more bite before winter sets in — get out to the great new Smorgasburg Upstate in Kingston (weekly on Saturdays through October), the Hudson Valley Food Trucks Festival in Saugerties (Sept. 15 and Oct. 20) and 2016’s last Music on the Mountain barbecue at Plattekill Mountain in Roxbury (Sept. 3). 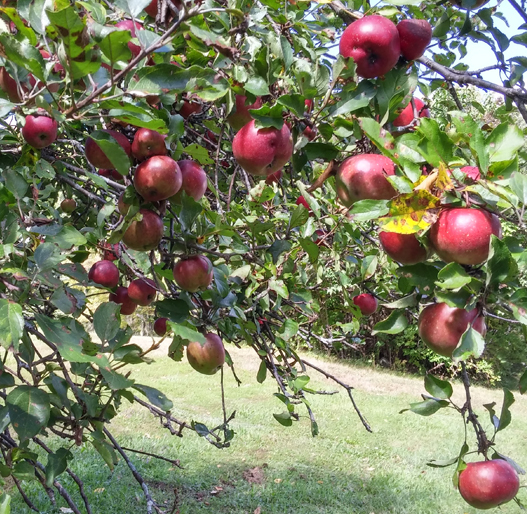 Looking ahead, pick-your-own apple season is starting up; see our guide from 2015 here. Butterfield at Hasbrouck House Grand Opening: Friday, Sept. 2, 3805 Main St., Stone Ridge. After a yearlong renovation under new owners Gowanus Hospitality Group, the hotly anticipated new restaurant and inn in a 1757 Dutch Colonial mansion finally debut over Labor Day weekend. Since we first wrote about the restaurant, executive chef Shawn Burnette, formerly of the Breslin in Manhattan and Husk in Charleston, has come onboard. He plans to work closely with neighboring farms and orchards, and has revitalized the property’s original, centuries-old smokehouse. Restaurant hours are 6 to 11 p.m., Thursday through Sunday; bar remains open late. Bovina Farm Day: Sunday, Sept. 4, 10 a.m. to 4 p.m., Crescent Road, Bovina. Farming Bovina, a grassroots nonprofit, puts on its eighth annual celebration of food and farms. Visitors will have a chance to meet and support local farmers, producers and artisans and sample and purchase their products—from produce to cheeses, meats, baked goods and crafts. Farm-themed activities include an apple pie baking contest, scarecrow-making, a corn maze and hay-bale rolling. Local food purveyors on site include Brushland Eating House, Mountain Brook Inn, FosterBuilt Coffee and Greenane Farms. There will be a cooking demonstration at 11:30 a.m., and a chance to try your hand at making maple candy at 1 p.m. Admission is $6/car. No pets allowed. Cocktails with a Conscience at Peekamoose Restaurant & Tap Room: Mondays and Thursdays through December, 4 to 6 p.m., 8373 Route 28, Big Indian. The farm-to-table mainstay has launched a twice-weekly “kindness hour” to support the Community Food Pantry of Arkville. Half-priced wine by the glass, beer and select specialty cocktails are on offer in the dining room, tavern room and the outdoor deck. Proceeds benefit the food pantry, which supports more than 450 local families. Harvest Festival at Bethel Woods: Sundays, Sept. 4 through Sept. 25, 11 a.m. to 4 p.m., 200 Hurd Road, Bethel. The Bethel Woods Center for the Arts continues its 18th annual celebration of Sullivan County farms, food and fun. Held weekly throughout September, the kid-friendly festival features a farmers’ market, live music, corn and hay mazes, pony rides and crafts, as well as changing themed events. Free admission, $3 parking fee. No pets allowed. Sharon Springs Harvest Festival: Friday, Sept. 16 through Sunday, Sept. 18, various times and locations. The Schoharie County community of Sharon Springs and its famous residents The Beekman Boys host a weekend-long celebration, including feasts at the American Hotel featuring craft beverages from the Schoharie County Beverage Trail, country breakfasts at the Chalybeate Park Pavilion and lots more eating and drinking opportunities. Children’s activities include farm tours and a supervised play garden. Etsy, the online artisan craft retail website, hosts a makers’ fair on site, promising great local-goods shopping. Supper Club: Friday, Sept. 23, 7 p.m., 392 Main St., Catskill. Magpie Bookshop and North/South Catering collaborate for the second of their new series of monthly dinners. It’s an intimate family-style meal in a unique setting, featuring an eclectic farm-to-table menu at $25/person. Check North/South’s Facebook page for more details; buy tickets online here. Grange Kitchen Supper Club: Saturday, Sept. 24, 6-8 p.m., Heather Ridge Farm, Preston Hollow. A less-formal version of farmer Carol Clement and chef Rob Handel’s popular dinner series, Grange Kitchens feature family-style fare sourced on site. $24/person, reservations requested. The Rondout Valley Growers Association Harvest Hoedown: Saturday, Sept. 24, 3 to 9 p.m., Tongore Park, Marbletown. This all-local-foods feast, sourced from area growers and prepared by local chefs, supports the nonprofit’s farm-to-food-pantry and farm-to-school programs. It includes pumpkin painting, a zucchini race and lots of other family-friendly activities, along with music by Rich Hines and the Hillbilly Drifters, Creek Iversen and Farm Friends and Kelleigh MacKenzie, topped off with square dancing to the Shoestring Band and caller-fiddler Liz Slade. Advance tickets are $25/adults and $5/children (six to 12 years old), available online. Tickets are $30/adults and $10/children at the door.